Praxis International Art invites you to an Artist Talk with Teresa Diehl on Saturday, January 8, 2011 at 6pm at the Wynwood gallery. Teresa Diehl is presenting her video installation work, Maneem (Dream). Diehl’s work was recently added to the permanent collection of the 21c Museum in Lousville, Kentucky. In addition, she will be presenting her work in the exhibition “MariaMaria 1511/2011” from Februrary – June 2011 at the Muzeum Montanelli in Prague. 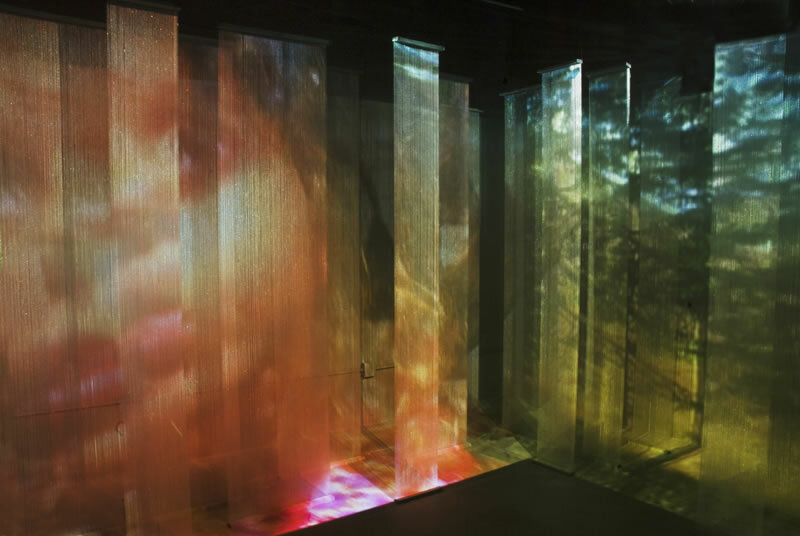 â€œManeemâ€ is an immersive three single channel video installation, dealing with reconstructed memories of childhood. Viewers are invited to walk trough the maze and wonder inside. bad ones stay in the net disappearing with the light of the day and good ones pass trough getting embedded in the subconscious. or like visual echoes, some kind of dejavu; and finally just suspended colors creating an ephemeral experience. I am fascinated as how to create a physical space that recreates the labyrinth of the mind.